Henry Mack Daddy Earl Mack obituary. Carnes Funeral Home. Completed his journey of life here and his battle with Cancer. 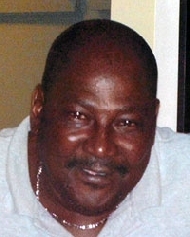 Surrounded by his loved ones in his home, Mack peacefully went home one October 18th, 2012 to begin his new life. He is proceeded in death by his parent’s, Bessie Pittman and Emmitt Tasker. He leaves behind (to cherish his loving memories) his wife: B. Jeannie Mack, Mother-in-law: M. Joyce Peterson, Son’s: Ricky Mack, Ethan Mack, Lawrence Mack and Jason I. Eckert. Daughter’s: Roda Tutt and husband Willie Tutt, Tonya Mack, Amber D. Eckert and Wesley Spells. Brother’s: Bishop Lenzo Pittman and wife Earlene Pittman (Stockton, CA), Ransom Pittman and wife Patricia Pittman (Seattle, WA), Emmit Tasker and Valerie (Bryan, TX), Brother-in-law: Mark A. Peterson. Sister’s: Mary Thompson and Dr. Gerome Thompson (Springhill, LA), Janice Austin (Bryan, TX), Lucille Tate and Alexander Tate (Bryan, TX), Jewel Tasker (Bryan, TX), Lovie Rogers and Darryl Rogers (Dallas, TX). He leaves behind 25 Grandchildren, and 5 Great Grandchildren, numerous nieces, nephews, cousins, and a host of continued family and friends. Henry Earl Mack was born in Brazos County Texas on July 16th 1948 to the late Bessie Pittman. Mack attended Kemp High School followed by Gary Job Corp. where he received his Certificate as Chef Cook. He continued his passion of cooking at the University of New Mexico as a Chef Cook for the following six years. After returning to Bryan, TX he then started working in the Oil Field Industry. In 1989 Mack moved to the Texas City area and started work as a maintenance man for a local apartment community. He continued the remainder of his years with us traveling, visiting family, and continuing to be the happy man we all remember. Held on the Calvary Baptist Church lot on the corner of 18th Ave North and 6th Street in Texas City. Visitation will be held on Saturday, October 27th at 10:30 a.m. with the funeral service to follow at 11:30 a.m. Calvary Baptist Church: 517 18th Ave N. Texas City, TX. How do you say Goodbye……. I love him, you love him, they love him….. Together we should be like him….